In the past few years as I’ve shared portions of my grief on my blog and other forms of social media, especially when it has been its most raw, people have assured me that over time grief dulls. As time has passed, I have thought about the accuracy of that statement. I don’t think that it fully encompasses what is experienced as we move through grief. I think that grief is like the water cycle. We’ve all studied those charts in elementary school. Water from the oceans is evaporated by the sun and condenses into clouds. As those clouds gather more water, combined with other atmospheric conditions, they release precipitation. That gathers in the ground, running off into streams and rivers that run to the ocean and the cycle begins again. Water is always present, but its form constantly changes. Directly following a tragedy, we can feel completely submerged in grief. It surrounds us, threatens to drown us. Over time, and with warmth, that grief can begin to evaporate. Kindness and acceptance from those around us reminds us that we don’t have to go through our grief alone. We begin to remember the stories that make us laugh about the person who is gone. We think about the good that has come into our life in spite of the losses we have endured. The world feels less cold and we find our way to dry ground again. Sometimes the grief is like the clouds in the sky. Occasionally foreboding, threatening to unleash a storm, but holding back. Some days it is beautiful, painting pictures of our loss in ways that add more loveliness to our lives. Above us, still visible, but not directly interacting with us. And sometimes, when the conditions are right, it pours down on us. Sometimes cold and hard, sweeping away the earth beneath us, destroying that which we have built up. Sometimes it is a gentle rain, washing away the dirt that has accumulated, refreshing us in ways that we hadn’t realized we needed. Water – sometimes destructive, sometimes healing. I believe grief can be similar. Grief can destroy and grief can heal. Embracing Grief is in the final stages of editing. If you are interested in receiving a free copy of the book in exchange for your honest review, please leave a comment here with your email address. Or you can find me on Twitter or Facebook and let me know there. Thank you so much! 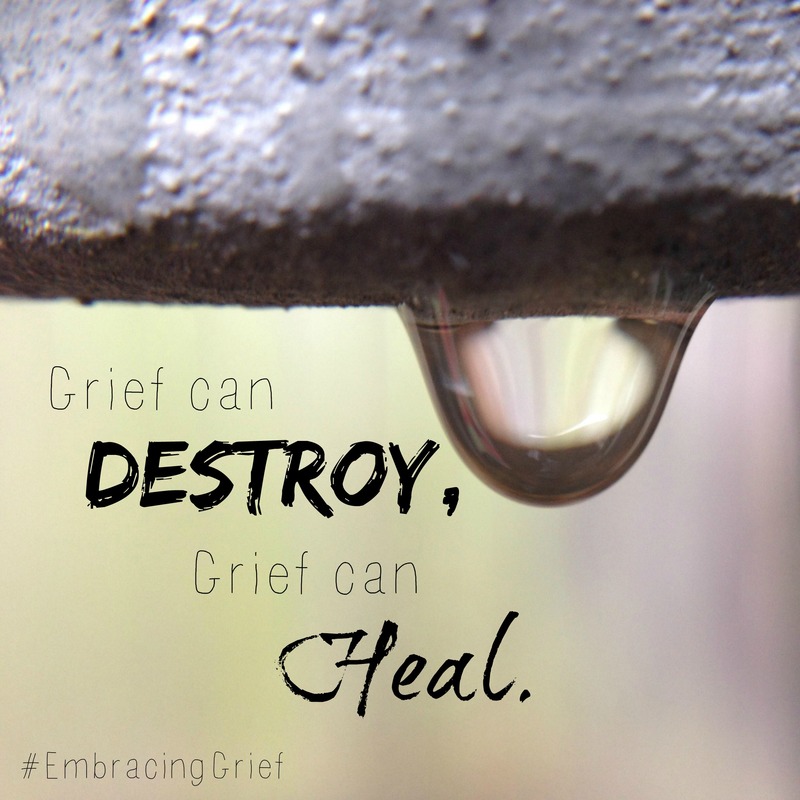 This entry was posted in Embracing Grief, Writing and tagged books, Embracing Grief. Bookmark the permalink. Lovely. That matches my experience as well. Thanks for sharing. Hi Alise, I might be interested in reviewing your book, but I have a rather controlled reading list. When you have the information available, can I get the introduction, table of contents, and number of pages so I can decide? You can even send this info by email attachment. Or if the book is available on Amazon I can read the pertinent info on the Amazon page. I look forward to hearing from you at tchastain@cfl.rr.com. Hi Alise, I just checked your book on Amazon, and I noticed it is only available on e-book. This is great, but unfortunately I don’t use e-book readers; I only read paper books. sorry. That was AWESOME and very accurate. Thank you so much for sharing in words what sometimes is only felt in the heart.